Enter non-winning tickets for a chance to win up to $50,000 in The Home Depot® Gift Cards! Arizona Millionaire's Club is the newest $30 Scratchers from the Arizona Lottery with more million dollar prizes than ever before! 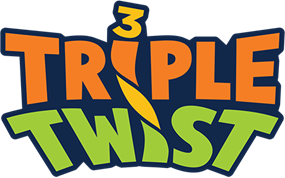 Triple Twist is a daily draw game with LOTS of ways to win! Are you a Retailer? Sign up to sell tickets. Massive Mega Millions Jackpot is Claimed in South Carolina, but Arizona is a Big Winner Too!